As per its expenditure report submitted to the Election Commission, BSP has Rs 669 crore in eight bank accounts and Rs 95.5 lakh as cash in hand. 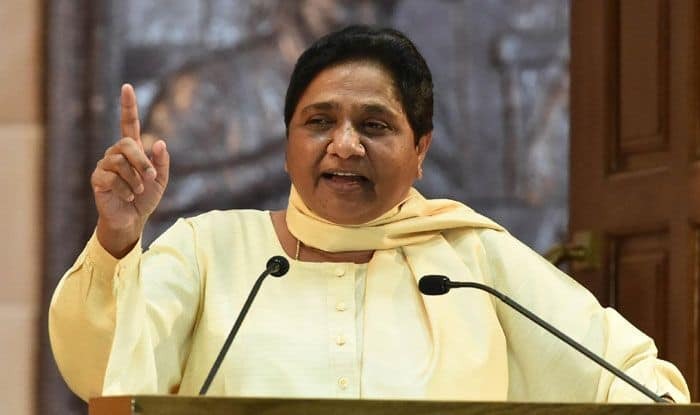 New Delhi: The alliance in Uttar Pradesh, mainly Bahujan Samaj Party (BSP) and the Samajwadi Party (SP), is flush with funds, said reports on Monday. Official records say the BSP has the biggest bank balance among all parties. As per its expenditure report submitted to the Election Commission, the party has Rs 669 crore in eight accounts in banks in the national capital region. The party also has Rs 95.54 lakh as cash in hand. On the second spot is SP with Rs 471 crore in its bank accounts. It saw only a slight dip in its cash deposits after the recent Assembly elections in Madhya Pradesh, Chhattisgarh, Rajasthan and Telangana, said a report in a leading daily. Congress is on the third spot with Rs 196 crore as bank balance. However, the party hasn’t updated the details since its victory in Madhya Pradesh, Rajasthan and Chhattisgarh Assembly elections. Telugu Desam Party comes next with a cash deposit of Rs 107 crore while BJP comes fifth with a bank balance of Rs 82 crore. This could also be attributed to the fact that the party claims to have spent Rs 758 crore which is the largest expenditure by any party. Meanwhile, cash reserves of the SP dipped by Rs 11 crore during the November-December polls for the four Assembly polls. In contrast, BSP, which collected Rs 24 crore during these elections, saw its reserves improve by Rs 5 crore from Rs 665 crore. According to an analysis of income tax returns of these parties by Association for Democratic Reforms, BJP showed the highest income with contributions worth Rs 1,034 crore for 2016-17 and Rs 1,027 crore in 2017-18. During the same period, BSP’s income fell drastically from Rs 174 crore to Rs 52 crore. Congress’s income for 2016-2017 is shown as Rs 225 crore. It has not declared its income in the following financial years to the EC. The report says that about 87% of the income of these parties is through voluntary contributions, with BJP the only one to have shown a gain of Rs 210 crore through electoral bonds in 2017-18.